Welcome at Kuijpers Interieur, this is a special sub-site for our foreign visitors. Here you will find the most important information featured on the Dutch version of this website. Please use the menu above to navigate this page. In 1983 Michael and Rieki Kuijpers decide that it is time to start their own company. Michael was already working in the car and furniture upholstering, as head of business at an upholstering company in Germany. He had the opportunity to take over a company specialized in the creation and supplying of foam rubbers, haberdashery and related articles. That’s how in 1983 the “Kerkraads Rubberhuis” (Kerkraad’s Foamhouse) was acquired. The creation and retailing of foams and haberdashery was taken over by Rieki, and Michael decided to, again, provide cars with a new interior, cloth and everything related. 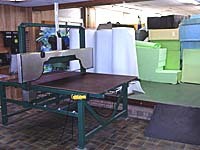 After years of building and expanding the company, a new generation joined the company in 1995. Son Marcel learned the ins and outs of the trade and joined his father in providing the upholstering of cars. In 1996 they decide to change the name of their company into “Kuijpers Interieur” (Kuijpers Interiors), because that name describes the activities of the company at its best. On this website we try to give you more information about the different possibilities in upholstering, foam, haberdashery and related articles. Please contact us when you have questions, there’s always a steaming cup of coffee ready. As of the start of this company in 1983, we specialized ourselves in the repairing and re-upholstering of the interiors of cars. Our first priority is that the interior of your car, after the repair or upholstering, is just as genuine to the original. That is the reason why we always strive to work with the original materials. The materials we use are the best quality products that were specifically designed to be used in the automobile industry. We prefer to work with the car leather of well-known manufacturers (like Mercedes, Porsche and B.M.W. ), hoods of the Sonnenland brand, wool tapestry and original car fabrics. 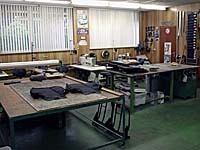 We repair, replace and fill all the seats with original fabrics, springs and foams of cars, busses and trucks. We re-upholster and change buddy seats with artificial leather or real leather of your motorcycle or moped in any desired shape and model. We rebuild your fabric car interior to real leather or alcantara with perforation or straight. Just as it where from the original factory interiors. 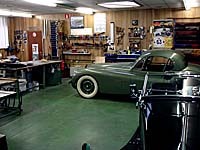 We replace your hood with original factory made hoods or we design your hood in our workshop for you. But our specialization lies at the re-upholstering of old-timers and classic cars. We create something out of nothing. We work to the original standards we acquired in many years of experience and the love of old-timers. You can see no difference in the interiors from many years ago. No project is out of the ordinary, everything can be discussed and almost nothing is impossible to create. Please let us show you the possibilities while you enjoy a cup of coffee, and show you our work. In our division Polyether, haberdashery and related articles, we specialized in custom creation and delivery of all sorts of polyether and foams. 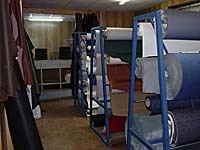 We also deliver haberdashery, fabrics and leather for use in the car and furniture industry. We supply our products to companies as well to consumers. In our sawmill we are able to cut polyether and foam in every desired thickness, lengths and widths. 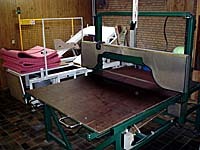 We also can cut any desired shape and model on our contour-saw. We hope that this gave you good ideas of what the possibilities are with our company. Do you have any questions? Don’t hesitate and call or e-mail us. Below are the possibilities of contacting us.